Just getting started? Great! Archery equipment can get a little confusing and overwhelming but no need to worry. Drop by for an in-store demo or test shoot a bow before you purchase. 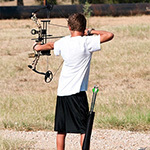 At Plum Creek Archery, we want to be sure that your decision... is the right decision! Several compound bow packages for beginners include a compound bow, sight, rest, detachable quiver and peep sight which will be set up just for you based on your draw length and strength. A release aid which is commonly used with compound bows (to release the arrow instead of your fingers) as well as arrows are sold separately. 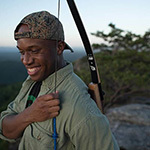 Our recurve bow packages for beginners include a recurve bow, sight and finger tab. This is a perfect setup to get you started in recurve style shooting. Arrows are sold separately.